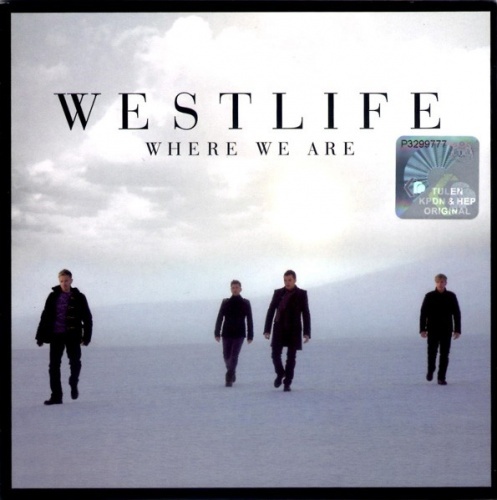 Westlife's ninth album, Where We Are, follows a yearlong sabbatical that the bandmembers took after celebrating their tenth anniversary with the concert video 10 Years of Westlife -- Live at Croke Park Stadium (2008). Where We Are was billed as a slight change in direction by the boy band, whose formula for chart-topping success had become overly predictable in recent years. In search of a fresh approach, they worked with a lot of American songwriters and producers, most notably Ryan Tedder of OneRepublic, who co-wrote and produced two of the album highlights, "Shadows" and "Where We Are." They also worked extensively with the veteran American R&B hitmakers Louis Biancaniello and Sam Watters, who are credited with three songs ("How to Break a Heart," "Leaving," "Sound of a Broken Heart"). Another album highlight, "The Difference," comes courtesy of Anne Preven and Scott Cutler, formerly of the Los Angeles alternative rock band Ednaswap, whose song "Torn" was an international smash hit for Natalie Imbruglia in 1997. Moreover, the album's lead single, "What About Now," is a cover version of a hit single by American Idol winner Daughtry that was co-written by Evanescence bandmembers Ben Moody and David Hodges. Despite all of this American input, Where We Are sounds like any other Westlife album, in part because it's such an assembly-line effort (by one count there are 29 different songwriters and 17 different producers credited on the 13 songs). As always, the album is comprised of power ballads about love and heartbreak with soaring string arrangements and earnest vocal performances by the bandmembers. Fortunately, there are many first-rate songs here -- more or less the entire first half of the album -- and the production is polished to perfection. Fans content with more of the same should find plenty to enjoy on Where We Are, another in a long line of Westlife albums sure to generate one smash hit after another.